The recent discovery of two bombs found attached to another tourist ferry on the island of Cozumel has sparked more fears of narco-terrorism in Mexico. The bomb discoveries come on the heels of a confirmed explosion caused by a bomb that ripped through a tourist passenger ferry last week in Playa del Carmen. 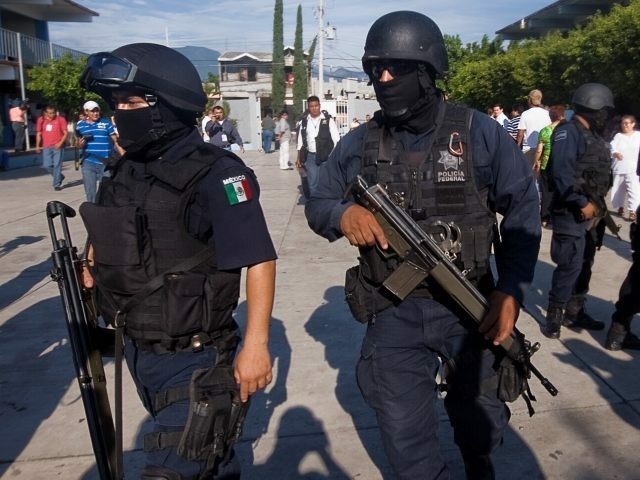 A Mexican cartel claimed credit for the initial act of narco-terrorism. The passenger ferry which suffered a detonated bomb blast was from the popular tourism provider, Barcos Caribe, which has been running a Playa del Carmen-Cozumel route since 2015. Breitbart Texas wrote about the previous bombing of the tourist ferry. Confirmation that the blast that struck the Barcos Caribe Ferry last week was caused by an explosive device came from the U.S. Embassy Security Alert which was released on March 1, 2018 and was posted on the embassy’s website. It warned American citizens to exercise caution and said Mexican and United States authorities were continuing to investigate the blast. The Barcos Caribe Ferry blast left 25 injured, including seven Americans—none with life-threatening injuries, as reported by local media. Breitbart Texas also reported that the Cártel de “El Pumba” y “Tata,” a criminal group believed to be aligned with the Los Zetas, had claimed responsibility on a narco-banner which was left on a church property. The narco-banner also threatened the current sitting mayor of Playa del Carmen. According to the security alert issued by the U.S. Embassy in Mexico City, it reported that on March 1, 2018 that unexploded ordnance was found by Mexican authorities on a tourist ferry that operates between Cozumel and Playa del Carmen, Mexico. It further confirms that on February 21, 2018 an explosive device detonated on a tourist ferry in Playa del Carmen resulting in injuries, including injuries to US citizens. Employees of the Government of the United States are prohibited from using all the tourist ferries on this route until further notice. The authorities of Mexico and the United States continue to investigate, the statement said. According to local news reports, the two explosive devices found on the ferry at approximately 5:30 pm on the island of Cozumel were discovered by company personnel who were performing maintenance on the “Caribe II” which is also owned by Barcos Caribes. According to news reports, the Caribe II has been anchored off the coast of Cozumel for months. After the explosive devices were discovered, elements of the Secretariat of the Navy arrived and took control of the explosive device for proper testing and disposal. Breitbart Texas has reported extensively on the ongoing cartel violence in Cancun and Playa del Carmen which has been attributed to the fight over the lucrative drug markets by Cartel Jalisco New Generation (CJNG), Los Zetas, Gulf, and independent groups loyal to the Sinaloa Cartel. Quintana Roo experienced a 118% increase in homicides in 2017.